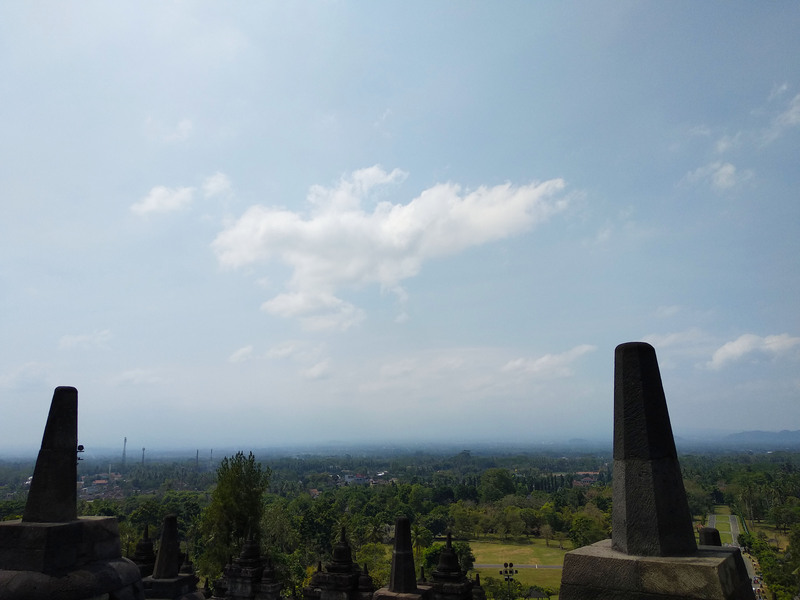 After taking approximately 1 hour and 10 minutes drive or around 42 KM from Kalaka B&B, our journey took us to Borobudur, the largest Buddhist temple in Indonesia. If you took the Pakem – Turi – Tempel route, you will pass through Salak Pondoh plantation, where you will also see many Salak Pondoh sellers along the road. Upon arrival, we paid IDR 10.000 parking ticket for our car and head on towards the new entrance ticket booth, which was more representative compared to the booth on our last visit. For domestic tourists, ticket fee for entering Borobudur Temple is IDR 40.000 for adult and IDR 20.000 for children under 10 years old. For foreign tourists, the entrance fee is IDR 350.000 for adult and IDR 210.000 for children. 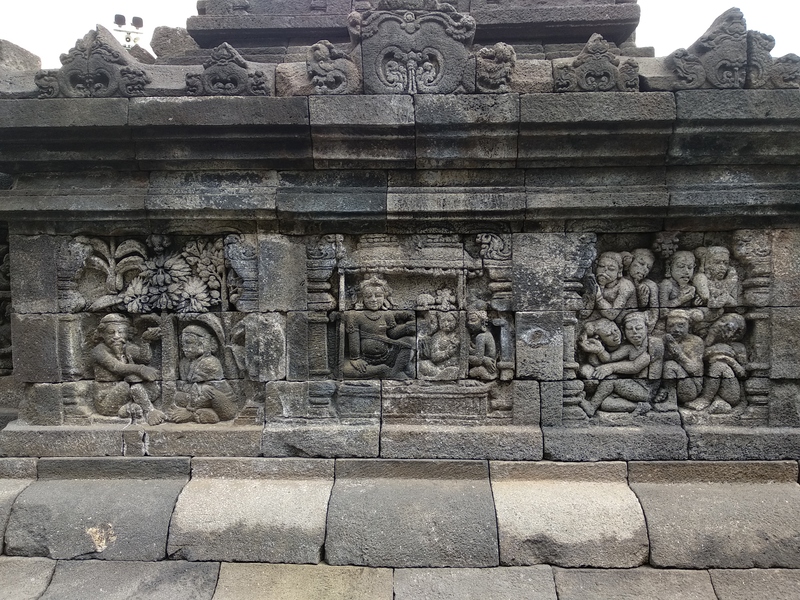 Nowadays, there are entrance ticket package options for selected temples that can be booked online through https://ticket.borobudurpark.com/. To ensure the sanitation and cleanliness within the temple area, the management has applied strict policy where tourists and visitors are forbidden to bring food from outside. On the entrance gate area, you will find various options on how to get to the main court area of Borobudur Temple. You can walk, ride a mini train, electric golf car, or andong (horse carriage). Mini train will cost IDR 10.000 per person, electric golf cart will cost IDR 20.000 per person, and andong will cost IDR 100.000 per carriage. We chose to use the electric golf car. The driver we had that day was very friendly and informative. He explained briefly to us about history and details regarding the many areas of Borobudur Temple. Our route took us to several points such as the elephant stall, Scouts activities area, VVIP guests entrance, and also access entrance to Manohara Hotel. Even though currently it was dry season when we visit, we can see gardens and green trees neatly lined up. Watering process for the green areas are performed every morning and evening. Before entering the main area of Borobudur Temple, there is an outdoor photo studio that you can enjoy. The concept is quite unique, with the background of antique Javanese furnitures, visitors can choose an outfit from a variety of traditional Javanese costumes or male colonial era costumes. To rent the outfit, you will need to pay IDR 50.000 per person. In order to get your soft file, you can contact the photographer directly. The management of Borobudur Temple has applied a policy in which adult visitor wearing short pants or knee-length skirt must use the batik cloth as a sarong provided for free near the entrance of the main entrance of the temple. Throughout the ride from the entrance ticket booth to the temple’s main area, you will see that cleanliness is very well maintained. Many rubbish bins are provided and there are also many rest rooms that the visitors can use for free. A few years ago, visitors were allowed to touch the stupa located in the top of the temple freely. Now, this activity is prohibited since it may cause damage to the ancient temple stones. Management are also keeping watch of visitors while on top of the temple. A useful tip for those of you interested in visiting Borobudur is to use a proper footwear since you will walk on many steep steps in order to get to the top of the temple. Near the exit gate, you will find Samudraraksa Museum, a maritime museum with a ship resembling one of the relief found in the walls of Borobudur Temple. The idea behind this museum came from a former British Royal Marine officer named Phillip Beale. 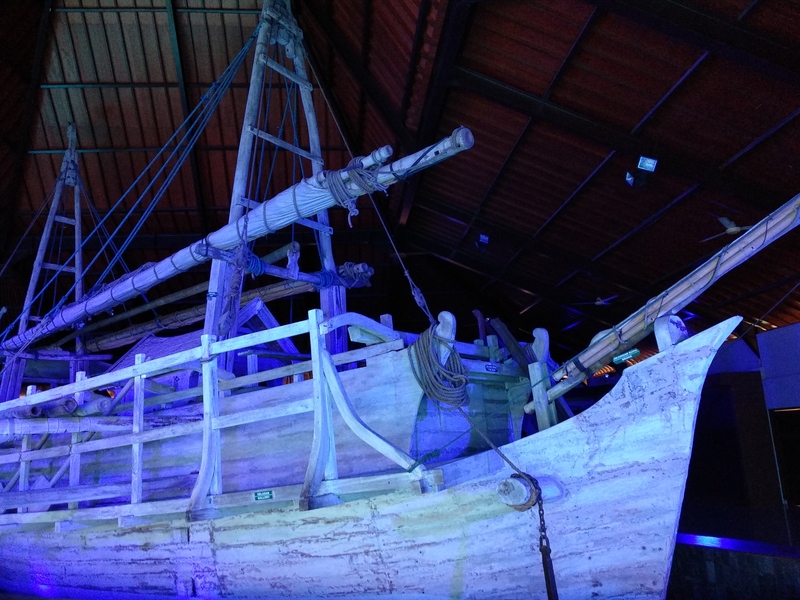 The ship exhibited in the museum was made in Madura by a Bugis native called Asaad Abdullah al Madani, and was sailed from Tanjung Priok through Seychelles, Madagascar, South Africa, until it reached its destination in Ghana. The sailing journey took 6 months (from August 2003-February 2004) without any modern navigation tools. What’s interesting from this museum is the interactive screen installed in the walls and floors of the museum, enabling visitors to enjoy the story line in a fun and unique way. The entrance fee for this museum is IDR 25.000 per person, which include a guide and a bottle of mineral water. 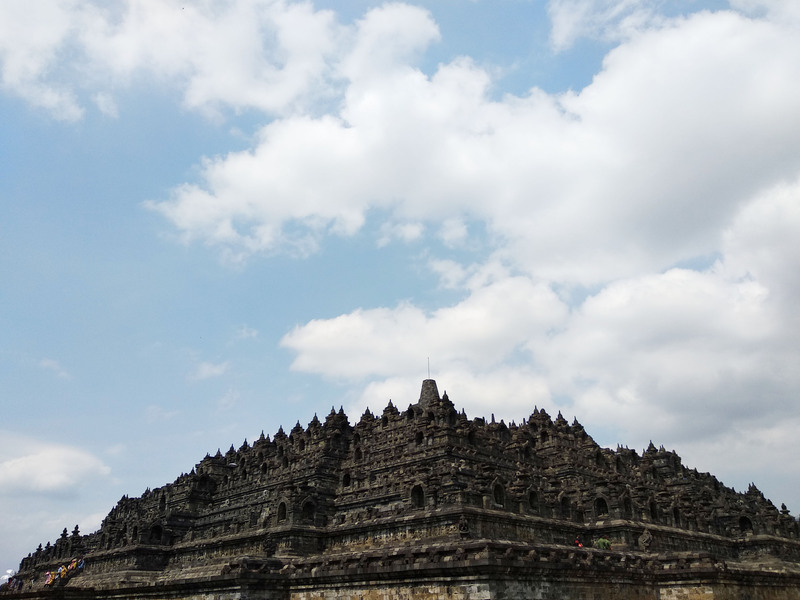 It took us approximately 4 hours to explore Borobudur Temple, including our photo sessions in the outdoor studio and our visit to the Samuderaraksa Museum.